One afternoon about six years ago, I was entering the school (Beaver Country Day School) and passing some Middle School (grades 6-8) classrooms.For some reason, for the first time, I asked myself, "Every adult in the school sits in a chair that is on wheels. Why aren't student chairs on wheels?" If chairs on wheels are more comfortable for adults and make them more productive, it seems reasonable they would have the same effect for students. So, we ordered some for the Middle School and the results were immediately positive. Kids who need to fidget can do so without distracting other students - or themselves. No more students leaning back in their chairs and falling over backwards! (Full disclosure: I was one of those kids.) Teachers and students alike loved the new chairs. I then wondered about tables. At Beaver, we like to set the classroom up for a range of learning environments; and tables on wheels would make that so much easier. Soon all classroom furniture was on wheels. To increase flexibility of the entire room, we made all the walls writeable with long whiteboards. Voila! No more front of the room. All of this was easy to accomplish, and not particularly expensive. The next question I asked myself was: if it's this easy, why don't schools pay more attention to learning environments? When a new office building opens, it is common for newspapers to review them and describe how they respond to the various needs of today's workers. Not so with schools. In Massachusetts we will soon build at least three $200M high schools. Why don't schools take advantage of research about working and learning environments in the way enlightened companies do? 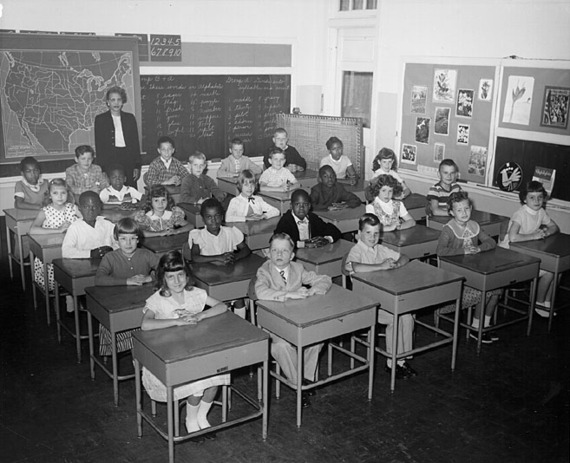 Classrooms are still virtually the same as they were more than 100 years ago. They send a message that presentation and "seat time" remain the most important ways to learn. Organizations like Steelcase and Gensler Architects have done extensive research on effective workspaces, and Steelcase has paid particular attention to schools and colleges; they know that workspace and classroom design send powerful messages. When students enter a room with desks or tables in a row and a board at the front, the message is that today we will be on the receiving end of instruction our job is to consume content. Here at Beaver, with all chairs and tables on wheels and virtually all surfaces writeable, our classrooms are flexible and responsive. When students walk in, the message is that today, we are going to do something. Our job today is to create content. Learning spaces can also communicate respect for students. Allow hallways to be places where students - and teachers - can work and socialize, not simply places for students to get from one room to the next as quickly as possible. I hate walking into a school where I do not see students in the hallways. The message is that students have no ownership of, influence on, or responsibility for their environment. And let's not forget how important it is to make space for fun and energy in the school. In addition, today's libraries should be the hub of schools. The nature of research is changing. When people argue about whether or not libraries should still have books, they miss the point. We should be asking ourselves what libraries are for. Research is no longer just about gleaning information from books. It's about utilizing and building online resources; it's about students presenting their ideas orally and visually; it's about collaborating to create content; it's about working quietly and alone; it's about talking to and interviewing people from around the world via Skype; it's about materials and making prototypes; and it's about people working both actively and quietly. As we are designing Beaver's new Research + Design Center (our library of the future) we are tapping into Steelcase's research to create a space where students and teachers can conduct research and create original work in all these ways. And, by the way, learning spaces cannot only support pedagogy and programming; they can also shape it. If we want teachers to embrace new modes of instruction, let's give them spaces where that is easy to do. Those conventional spaces make it all the more challenging for teachers. As we build and renovate schools, let's not just update what we have. Let's think in fresh ways about the student experience. Let's give the same amount of research-driven thought to the school environment as we do to our best work environments. 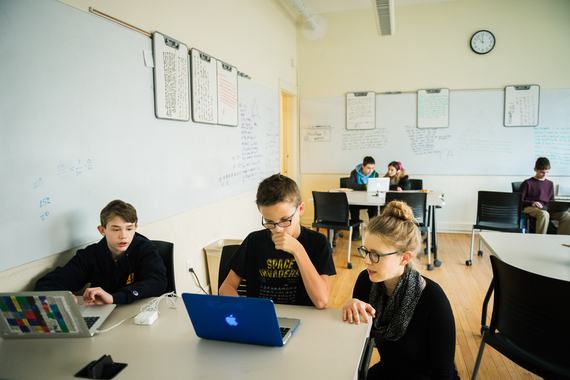 Let's put thoughtful human-centered (read: student-centered) design at the forefront of school design. Maybe then it will be worth the time to write reviews of exciting, new classroom environments.